MORE THAN 6,300 children and teenagers were waiting for a psychology appointment in Ireland at the end of August, new figures reveal. 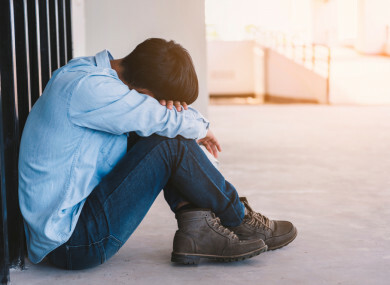 HSE figures released to Fianna Fáil’s mental health spokesperson James Browne show that of the 6,340 on the list, 1,607 children and young people have been waiting for more than a year for an appointment. “These figures are very worrying and should act as a wake-up call for Ministers Harris, Daly and indeed all of their Cabinet colleagues,” Browne said. The figures from the HSE show that 5,437 are children between the age of five and 17. There were a total of 903 children aged between zero and four waiting for an appointment. In December 2017, over 2,000 children were waiting over a year for a psychology appointment. The waiting times are split into different age groups and broken down across the nine different Community Health Organisations (CHOs) for areas across the state. Community Healthcare Services are delivered through the HSE. They are the broad range of services that are provided outside of the acute hospital system. This includes primary care, social care, mental health and health and wellbeing services. The waiting times vary significantly depending on what area of the country is looked at. For example, in CH04, which includes all of Cork and Kerry, there were 499 children aged between four and 17 waiting more than a year for a psychology appointment. In December 2017, 563 children in this age group were waiting over a year for an appointment. Meanwhile, in CH06, which includes Wicklow, Dublin south east and Dun Laoghaire, there was no one in this age group waiting over a year for an appointment. The figures differ greatly across the other areas of the country. For example, in CH05, which includes South Tipperary, Carlow, Kilkenny, Waterford and Wexford, a total of 123 children aged between four and 17 were waiting over a year for an appointment. The figures relating to children and young people differ hugely to that of the figures relating to adults. For example, in August, 239 adults were waiting over a year for an appointment. Commenting on the figures, Browne said the figures are “completely unacceptable”. “These lengthy waits are not only completely unacceptable from a medical point of view, they are causing immense stress and anxiety to the children and families trapped on the list,” Browne said. He said that the data is an illustration of the “persistent crisis” in the provision of mental health services for children. “While it is not uncommon in today’s health services for more than a quarter of those on a waiting list to be on it for more than a year, it does not make it right,” he said. “Early intervention is critical when dealing with susceptible children and teenagers. The government and the HSE have an obligation to do better by these children. It is critical that sustained efforts are made to address these waiting lists. Such deficits in mental health services for children cannot be allowed to continue. The HSE has been contacted for comment. Email “More than 1,600 children and teens waiting over a year for psychology appointments”. Feedback on “More than 1,600 children and teens waiting over a year for psychology appointments”.